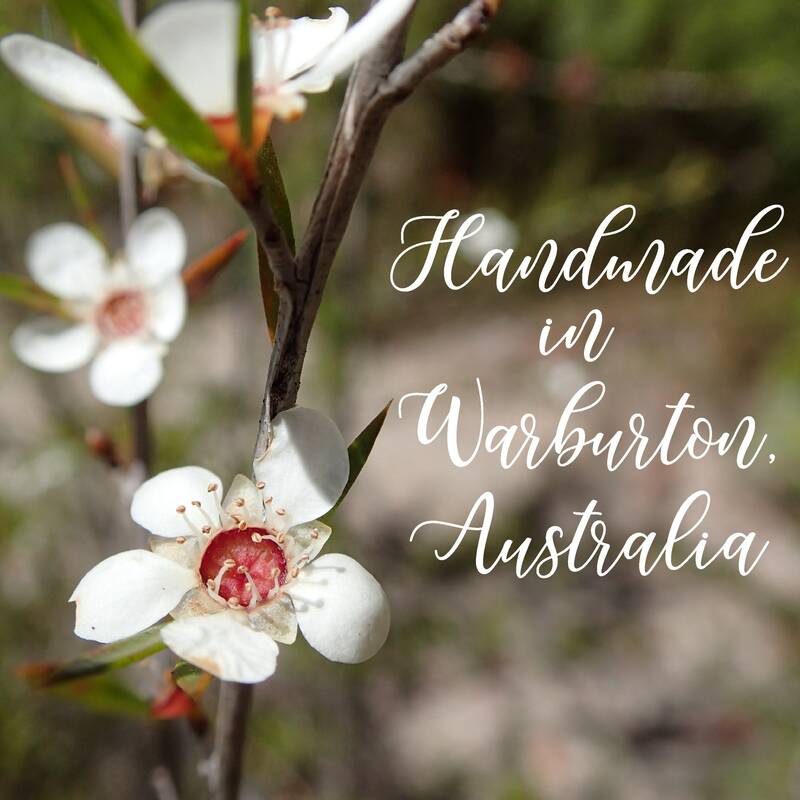 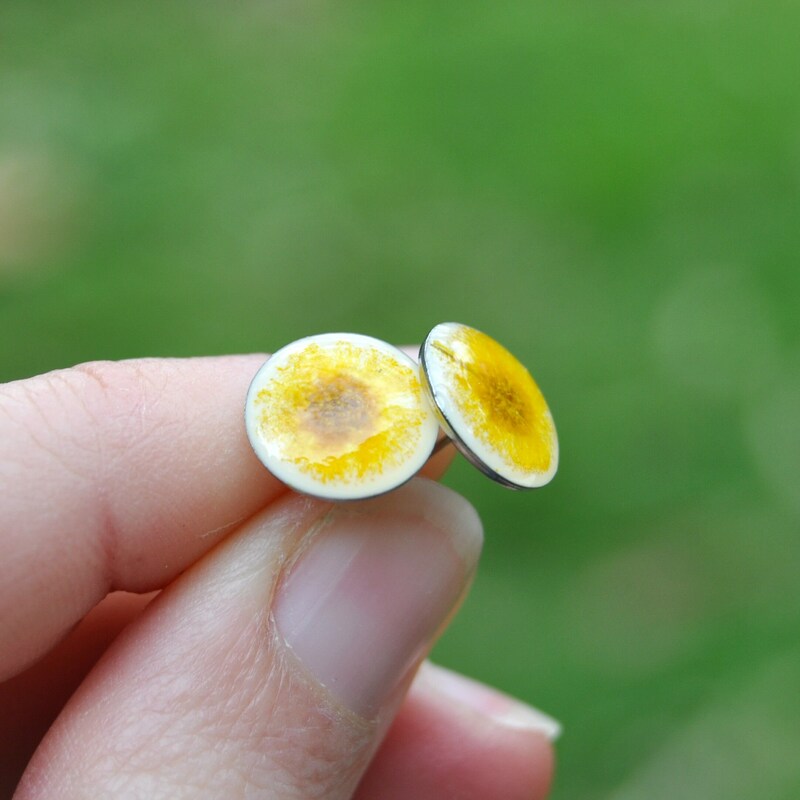 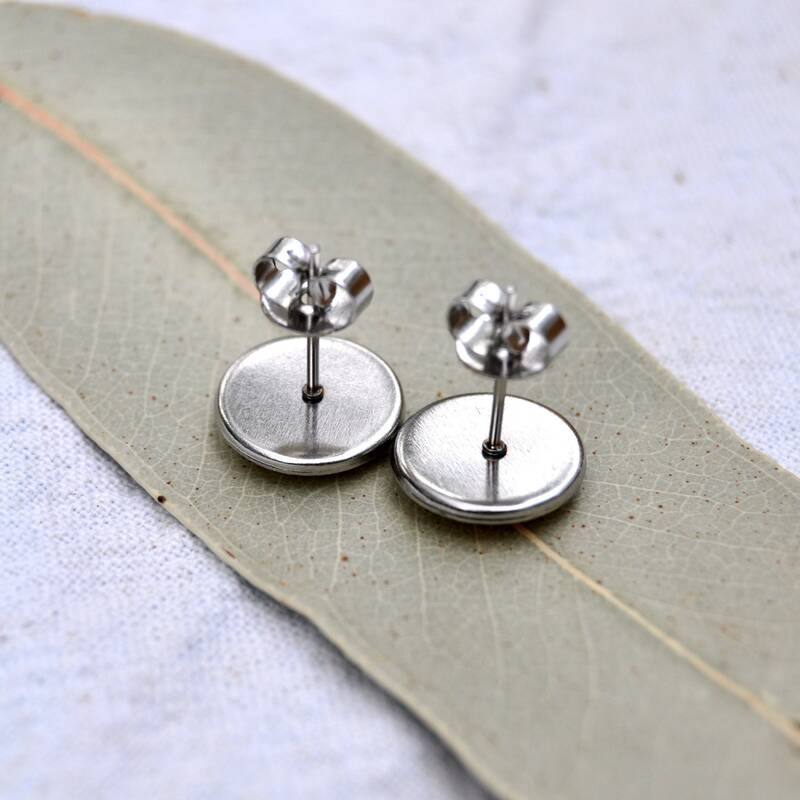 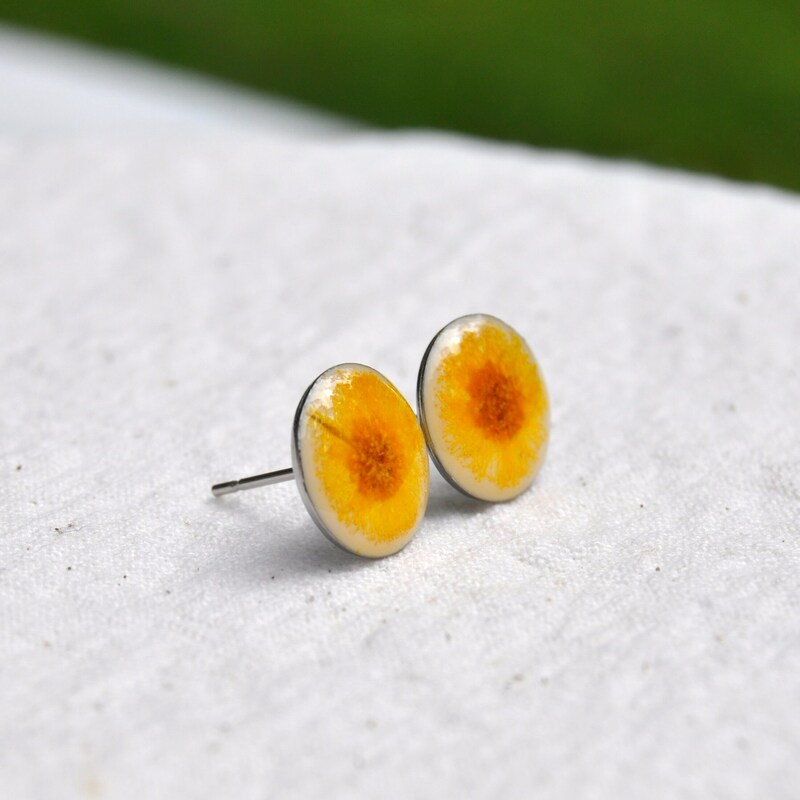 These cute little stud earrings are hand-made from the pressed flowers of the Mt Morgan Wattle one of the varieties of Acacia native to Australia. 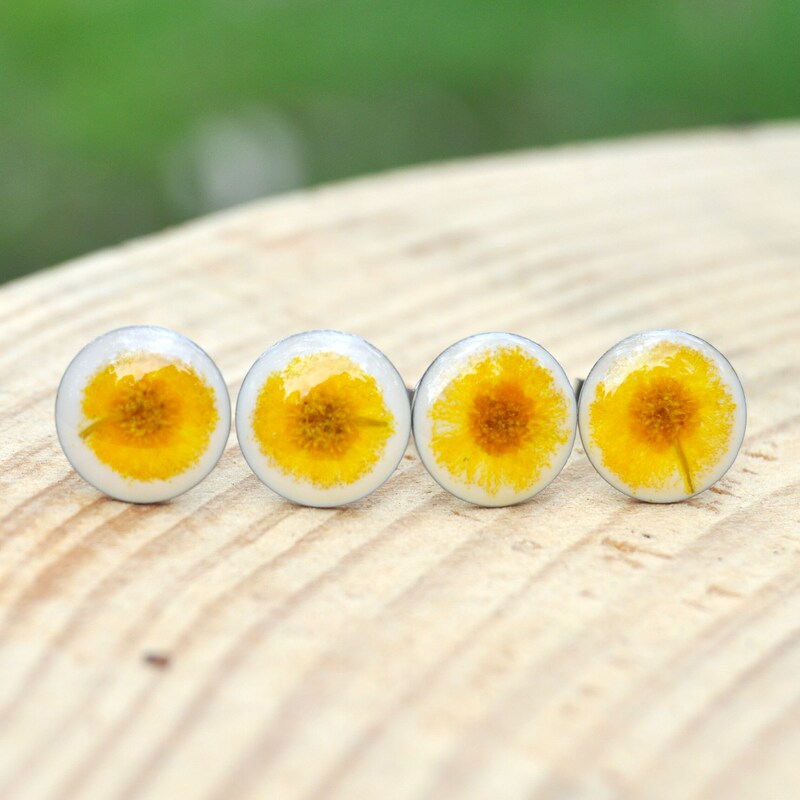 The flowers have been carefully pressed and dried, before being sealed in between layers of UV resistant eco-resin. 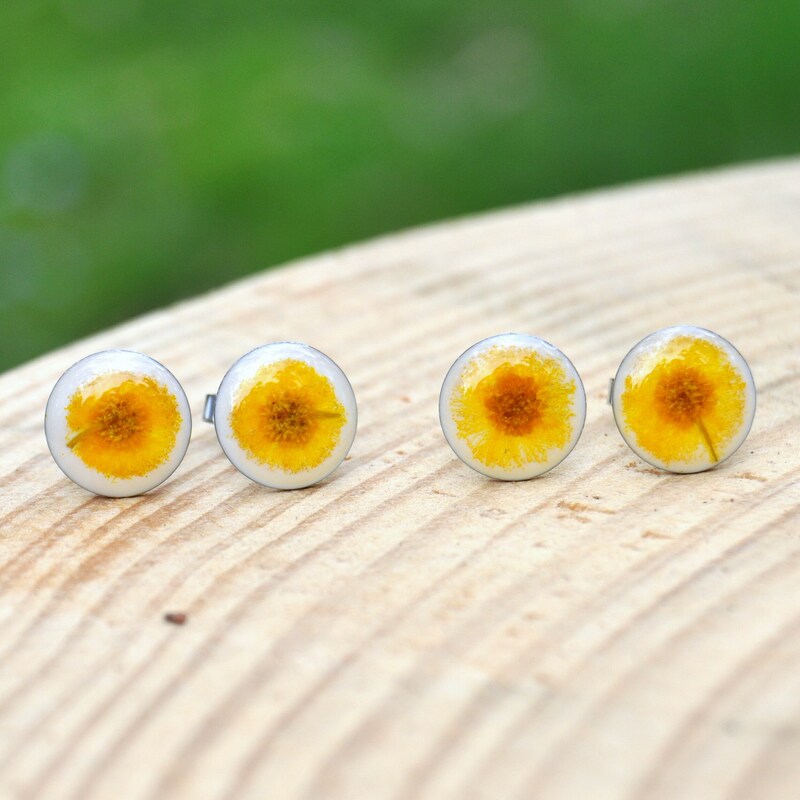 The posts and backings are made of surgical grade stainless steel, and should therefore be suitable for most sensitive ears. 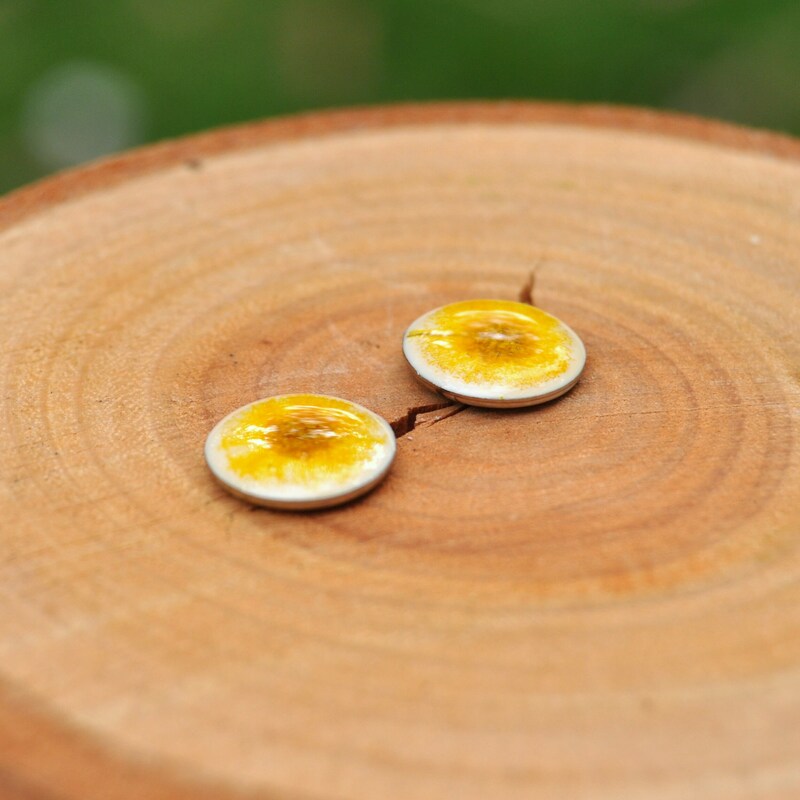 Each earring measure approximately 10 mm wide and the front is about 3 mm thick.